Corporate Fitness: What Are METS? 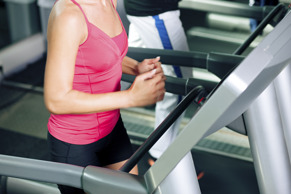 Ever wonder what “METS” stands for on the treadmill, bike, or elliptical? Simply stated, a MET (also known as the metabolic equivalent) is a unit of measure that quantifies the intensity, or energy cost, of an exercise or activity. It’s scientific in that it approximates the amount of energy you expend during physical activity based on the amount of oxygen a body at rest consumes. It’s practical because it describes the intensity and energy expenditure of certain activities relatively, or in a way that is comparable among persons of different sizes. Additionally, it is especially useful for individuals interested in cross-training but who also want to make sure they are getting similar-intensity workouts using a variety of exercise modalities. Following is a list of activities and their respective MET values. At rest, the body uses approximately 3.5 ml of oxygen per kilogram of bodyweight. This equates to 1 MET. If you are participating in an activity that is 4.5 MET, it means you are working 4.5 times harder during that activity than when you are at rest. The higher the MET, the greater the intensity. Source: Wilmore, Jack H., and David L. Costill. "Prescription of Exercise for Health and Fitness." Physiology of Sport and Exercise. Champaign, IL: Human Kinetics, 2004. Should Cardio or Weight Training Come First in Corporate Fitness? Both cardiovascular exercise and weight training are important forms of exercise in a balanced, well-rounded workout routine. Cardiovascular exercise is great for keeping the heart and lungs functioning well, whereas weight training is best for building or maintaining muscle, preventing injuries, and improving strength. If you perform both forms of exercise on the same day, you may have asked yourself which to perform first for the greatest benefit. Well, it depends. Don’t you love that response? It depends on your exercise goals. If your goal is to improve your 5K race time or you’re training for a specific sport such as soccer, your primary goal is probably to get your cardiovascular system working efficiently for an extended period of time. If this is the case, performing your cardiovascular exercise first when you’re fresh rather than a bit (or a lot) fatigued from weight training ensures you perform the activity with optimal energy. If your goal is to improve your strength or build a firmer, leaner body, the opposite will be true. You want to train your muscles before they are fatigued from other activities. Encourage your employees to start making healthy changes, whether cardio or weight training, with a worksite health promotion program. A qualified personal trainer or fitness professional should take not only your fitness goals into consideration, but also your level of skill, to create a program that incorporates strength training and cardiovascular exercise. When was the last time you did an organizational health checkup? If your organization were one body, what would its state of health be? How would you read its vital signs? Permit me this analogy for a moment: The CEO is the head, the brain, the vision. Your employees are the rest of the body: limbs, skin, muscles, organs, and senses. Brain directs and body makes it go. Your organizational body is only as effective, healthy, and vital as its weakest part. If some parts are ailing or unfit, all are affected. From hangnails to heart attacks, the effects can be minor or devastating, but they cannot be denied. What are you doing to help your corporate body stay healthy and fit in every part? Usually there are two reasons your employee body may not prioritize a health-preserving/enhancing lifestyle choice. Either they just don't know how, or there's an obstacle. Ignorance can be overcome by education―a connection with a knowledgeable staff member at your corporate fitness center, for example. And most often, an early encouraging outcome will spur your worker into action toward greater goals. Obstacles can be many, and some of those are well beyond the organization. But with employees spending more than half of their waking hours at work, the employer has a prime opportunity to effect healthy change for its employees. Support is mission-critical. At the right place and time, it makes all the difference. Corporate Fitness: Some Exercise Is Better than None! This blog was written by Melissa Sherman. Meet our blogging fitness specialists at the NIFS website. Between everything life throws at you, finding the time to exercise is a struggle for a lot of people. However, when it comes to exercise, "something" really is better than "nothing." Here are some tips to begin incorporating exercise into your day. Whether you are just starting an exercise routine or realizing that you are having trouble maintaining your exercise routine, blocking out time in your schedule can be a helpful way to make sure you stay consistent. Schedule exercise like you would any other appointment, even if it is only a 10- or 15-minute time slot. Get active throughout the day. Take a 15-minute walk during lunch. Use a pedometer to gauge how many steps you take each day, and try to increase that number every day. Do jumping jacks for 5 to 10 minutes in your office, at home, or in your hotel room. At home, do push-ups or sit-ups during commercials while you watch television. Break up your exercise minutes. If finding a 30- to 60-minute time slot in your day doesn’t seem realistic, try breaking up your exercise. Can you find three 10-minute time slots? Or how about two 15-minute time slots? Log all your exercise minutes each week, and try to aim for at least 150 minutes of exercise each week. No matter where you are with your exercise program, it is common to have an “all-or-nothing” attitude. This attitude does more harm than good when it comes to your health. Just because you miss one exercise session, does not mean you ruined the whole week. You should start again next week. Fit in exercise when you can. Realize things do come up, but do the best you can to make it consistent. Make your exercise plan realistic for your schedule and always remember that some time, no matter how small, is better than nothing. Why should you consider using a heart rate monitor? This blog was updated Friday, February 3, 2017. What if you could take an inside look at how fast your heart is pumping during exercise? 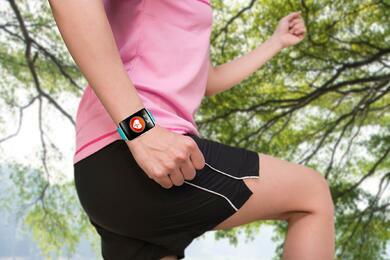 Well, it’s not a portable EKG machine, so why should you consider using a heart rate monitor? Worn around your chest and against your skin, a heart-rate monitor can pick up the electrical activity of your heart and transmit your current heart rate (number of beats per minute) to a wristwatch or to a display on the cardio machine you’re using. These devices can give physical evidence regarding how fast your heart is beating during cardiovascular exercise. So what do you do with the information it provides? One’s heart rate tells us how hard your heart is working to supply oxygenated blood to your working muscles. The faster you run or the steeper you climb, the harder your heart works. It is generally recommended that a person’s heart rate attain a certain range to gain the most cardiovascular benefits. After consistent monitoring of your heart-rate response during cardiovascular exercise, you’ll learn that your body adapts to the work demands you place on it. In other words, your heart does not have to work as hard to walk that mile as it did a month ago. This means you’ll need to increase your intensity (time and/or speed) to continue to attain your target heart-rate range. A heart-rate monitor can be a very useful tool to receive feedback about your workout. Additionally, a fitness professional can also provide guidance in developing a well-rounded cardiovascular and strength workout customized to your goals and needs. Are you and your employees in need of some exercise direction? A well-rounded corporate wellness program as well as a qualified corporate fitness staff can provide the guidance you’re seeking. NIFS can help! This blog was written by Lisa Larkin. Meet our blogging fitness specialists at the NIFS website. 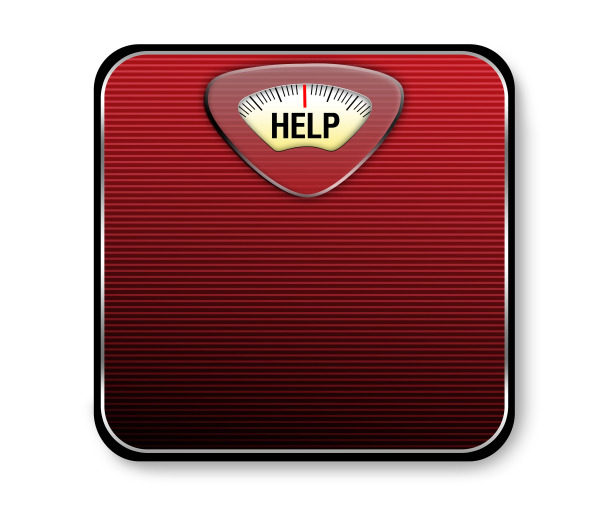 Reaching a plateau in weight loss or your fitness level can be very frustrating. It’s a common concern I hear about working at a corporate fitness center. It’s actually natural for your body to reach a plateau during weight loss. The body will usually work itself through the plateau on its own after about three weeks. But there are several ways to kick-start your body back into quick metabolism mode. Make sure you’re eating enough calories, but healthy calories. If you give the body a little more to work with, it can speed up and burn those calories faster. Don’t forget about drinking water, and lots of it. See these guidelines from the Mayo Clinic to help determine how much water you need to drink on a daily basis. You also need to mix up your workouts. When I say mix it up, I mean mix up everything! Some days do fewer reps, and then the next time you do strength training do more reps. Some weeks lift heavier weight and others lift lighter. Usually, the amount of weight you're lifting will go hand in hand with the amount of reps you can perform. You can mix it up by doing cardio before strength and vice-versa the next day. This will also help with boredom. Go beyond that and one day do a longer bout of cardio, and the next day focus on full-body strength training. Mixing up the exercises can make a big difference in your results. For example, mix in dumbbells, machines, band, kettlebells, etc. This may be hard for those of you that are very regimented and don’t like change, but it’s the best way to improve your fitness level. Another great way to get over the hump is to increase the intensity of your workouts. You would be amazed at what the body can do, so push yourself harder! Of course, you need to listen to your body and not push yourself too hard, but harder than you normally do. Check out the group fitness classes offered at your corporate fitness center or onsite wellness center. If you don’t prefer group classes, schedule a one-on-one appointment with your corporate wellness staff for new exercise ideas. Walking has long been touted as one of the most effective forms of aerobic exercise an individual can perform. The convenience of walking and the relative ease of it (compared to some other forms of high-impact exercise) make it a beneficial part of any exercise program for individuals of all ages. 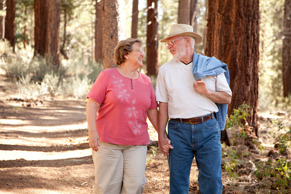 Regular walking is especially important for seniors, as it helps them maintain balance, muscle mass, and cardiovascular function that can otherwise deteriorate with age. It assists with the prevention of chronic disease and may help ease the symptoms of some medical conditions. In addition, what’s good for the body has also been proven to be good for the mind; walking combats age-related cognitive decline, which helps seniors maintain their memory and prevent dementia. Specifically, walking increases the size of the hippocampus, which is a section of the brain related to memory. While many forms of activity can be good for the brain, a year-long study at a handful of universities specifically highlights the benefits of walking as compared to other forms of activity. Data was taken from two groups of seniors: one group with a walking program and another performing yoga and resistance-band training. The size of the hippocampus increased in the walking group but decreased in the other group. Therefore, especially if you are a senior, it’s important to lace up those athletic shoes and hit the pavement! If you’re just beginning, start slow. You may want to consult with your doctor about a program. Walk as briskly as possible, which will help you reap the most benefits. Invest in a pair of comfortable walking/running shoes with plenty of support and cushioning. If you have joint ailments, try finding softer ground on which to walk, such as a trail or a track. 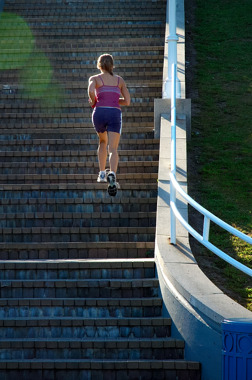 Incorporate intervals into your walking program. Mix in speed bursts and incline training. Recruit a walking buddy. Exercise can be much more enjoyable with a friend! If walking outside, try varying your routes to keep the scenery interesting. 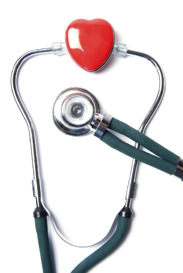 Employee Health: Could You Be a "Heart Attack Waiting to Happen"? It is no secret that heart disease is the leading cause of death in America, with more than 27% of all deaths being attributed to Coronary Artery Disease (CAD). What is shocking is that apparently healthy individuals are dying of heart disease every single day. In fact, 39% of American adults perceive themselves as having ideal heart health, while less than 1% actually do. Your current state of health. What it actually means to be healthy. Family history: Heart attack, bypass, or sudden death in first-degree male relatives before 55 years of age, or before 65 years of age. Cigarette smoking: Current smokers or those who quit within the preceding 6 months. Hypertension: High blood pressure defined as systolic pressure (top number) being greater than or equal to 140 mm Hg, OR diastolic pressure (bottom number) being greater than or equal to 90 mm Hg. Dyslipidemia: High cholesterol defined as LDL (“bad”) cholesterol greater than 130 mg/dL, OR HDL (“good”) cholesterol less than 40 mg/dL, OR on lipid-lowering medication. Having HDL greater than 60 mg/dL is considered to be a negative risk factor, and thus negates a positive risk factor. Impaired fasting glucose: Fasting blood glucose (“blood sugar”) greater than or equal to 100 mg/dL. Obesity: Body Mass Index (BMI) greater than 30, OR waist girth greater than 102 cm for men and 88 cm for women, OR waist-to-hip ratio greater than or equal to .95 in males and .86 in females. Sedentary lifestyle: Persons not participating in a regular exercise program or not meeting minimal physical activity recommendations. Knowing your individual risk factors for CAD is the first step toward reaching ideal heart health. Do you know where you stand? 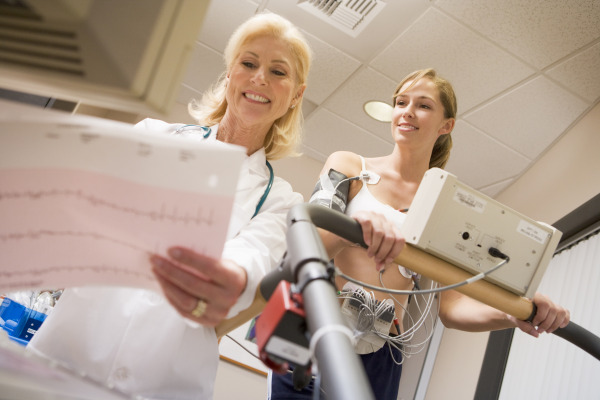 Have you had an annual physical or participated in a Know Your Number health screening? If so, congratulations! You are on your way to better health!